Amongst the thousands of science fiction narratives depicting a bleak city-scape future that looks like the washed neo-noir setting of Bladerunner, it’s uncommon to see a vision that bears even a few shades of green. Such a vision, for example, would see hundreds of buildings strung with vertical gardens – something with China wants to make a reality after the nation commissioned the first vertical garden in Asia to be built in Nanjing. Expected to be covered in 600 tall trees, 500 medium-sized trees and 2,500 plants and shrubs, the projects looks to become the first of many vertical gardens that will help China tackle the issue of pollution in its cities. While China is focused on reducing CO2 emissions, the idea of meshing gardens with traditional infrastructure comes with a wider purpose of promoting sustainability across the board. Once a Farmwall is installed, an “urban farmer” makes a weekly trip to the venue to deliver new trays of germinated seeds and assist the customer with harvesting – it can take less than a week for venues to receive they first harvest. Cofounded by Serena Lee, the subscription service was built off an early concept of creating a huge vertical aquaponic growing structure, space where fish and plants are grown in the same symbiotic environment. “It was a great vision, but it seemed miles away,” she added. Using Farmwall, the business wants to gradually turn cities into food producing ecosystems, an idea which Lee said requires changing the way consumers think about where the food on their plate came from. “An attitude change is the first step towards reducing environmental impact,” she said. Supplying a single-sized unit roughly the same size as a standard bookshelf, the farm will be able to produce 36-48 punnets of microgreens each week. This will be the model rolled out initially, according to Lee, with a prototype currently in the works that can produce 180 punnets per week. The farms are designed to sit at the position of a venue, offering customers and passersby a scenic view of the greenery, however, can also be installed behind a bar, kitchen or elsewhere inside a space. Lee said Farmwall assists in the installation of the farm and delivery of seeds, but beyond that, chefs and staff are able to harvest the produce themselves and “customise” what new seeds they receive through an app. Discussing what a city strung with Farmwalls, or vertical farms, would look like, Lee said it could provide enough food to feed an entire city population while offsetting environmental issues such as pollution and the strain of feeding a growing population. “You could see Farmwall’s popping up in homes, schools, offices, aged care, residential developments and in your local retail outlets. The Farmwall principle from a construction perspective means it can be scaled from the size in your home to one that engulfs a skyscraper. From an impact perspective, Farmwalls can be used as a tool to help fight food security developing countries and nutrient-deficient communities,” she added. Fulfilling its original goal, the startup is now looking at developing an urban aquaponic farm, which will be used to deliver fully-grown herbs and greens to venues that can be kept alive for over two weeks in a specialised holding system, for an added cost. “Chefs will [also] be able to visit the farm, trial produce and influence what can be grown for their menus,” added Lee. Nearing the end of a crowdfunding campaign that aims to reach $30,000, Lee said Farmwall would be officially launching in October. “We’ll have 50 Farmwalls in Melbourne’s hospitality scene by the end of 2018. Growing alongside this, we will start the first educational program from the Farmwall Foundation, our not-for-profit arm of the business that will conduct our impact Activities,” she said. 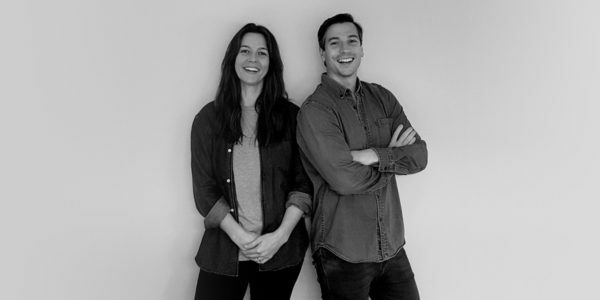 Image: Cofounders Geert Hendrix & Serena Lee. Source: Supplied.